I've joined a group of creative bloggers to bring you a monthly challenge blog hop. On the 2nd Monday of each month we share our themed creations for the month. 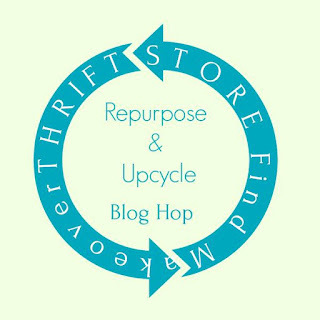 The theme for April is Thrift Store Find Makeover Challenge where we upcycle/repurpose an item we found at the thrift store for twenty dollars or less! You can never have too many trays, so it was a no-brainer when I found this one at the Goodwill for $3. Almost everyone loves to use trays in their decor including me! Let's begin by removing any stickers, cleaning off dirt and residue using a mild cleaner like liquid Dawn dish soap mixed with water and a rag. Gently rub while removing debris and do not soak the wood. Let dry. I had a wood stain in my stash that I've wanted to use for a while now called Rust-oleum Sun Bleach. I had to go outside to paint it on the tray because of the smell. Thank goodness it was a nice day! I don't know if the stain was too old or what, but I was surprised how thick it went on and how long it took to dry! I should have dry brushed it on. So, once it did dry, I sanded the wood to expose some of the darker areas a bit. Then I found a free floral image online, sized it to fit the inside tray and printed it out using a laser printer. Next, applied a heavy coat of Matte Mod Podge to the inside bottom . . .
smoothing out the paper design and let dry. Applied another coat of Mod Podge and let dry, again. You can also apply a sealer to protect the paper and design if you plan on using the tray a lot. A unique and inexpensive decorative tray to use just about any where in your home! 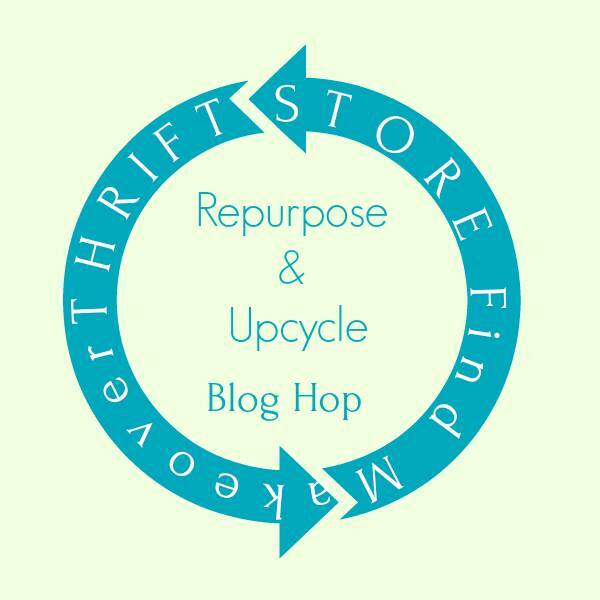 Be sure to check out all of our hosts creations, ideas and inspirations for this month's Thrift Store Makeover Theme! See you next month for our Upcycle Challenge using Cardboard, Paper or Wood! What an improvement! It's so pretty and Spring like now. I have such a weakness for buying trays at the thrift store and giving them makeovers. Yours looks great, Gail. I haven't tried using mod podge on one, I need to put that on my to try list. Un bonito trabajo de decoupage. Very very pretty! I really like the stain color and what a great idea to mod podge a floral print. What a beautiful touch. This thrift store tray turned out really nice! Great choice of paint color. Adding the floral picture makes it perfect for Spring. Te ha quedado una bandeja bellísima ,me encanta el papel de flores !!!! Excellent up-cycle! I love how the painting turned out and the design you chose to put on it is perfect! This turned out so well! Great idea. O MY!! What a great transformation!! It looks so charming!! Wonderful job!! Thanks so much for stopping by and for your kind words! !